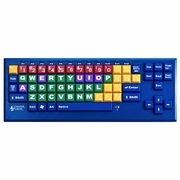 The Big Blu Large Key Kinderboard with Bluetooth is a large key computer keyboard that can assist children with vision or motor-skill impairment, and is an excellent first keyboard for any child. 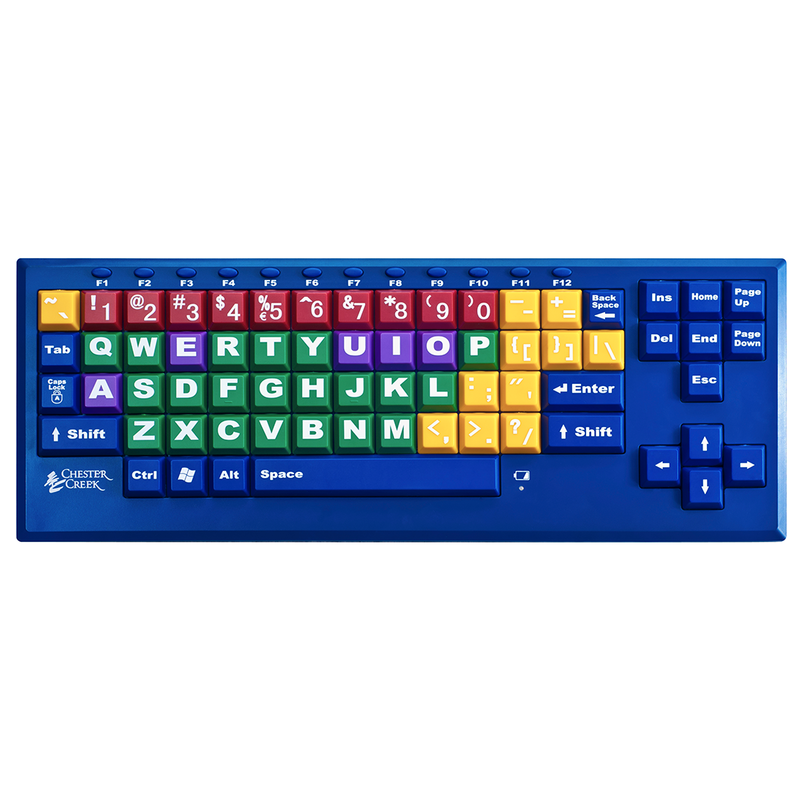 The Bluetooth KinderBoard has big 1" oversized keys and large, bold, easy-to-read numbers and letters. The Bluetooth KinderBoard features color-coded consonants, vowels, numbers and punctuation marks to help pre-school children learn their character sets. The Bluetooth KinderBoard uses wireless Bluetooth technology so you can use it with your Bluetooth enabled PC.